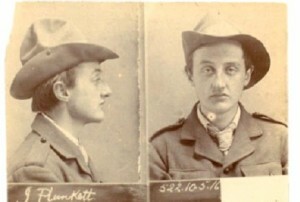 Joseph Plunkett was the primary planner of the Rising, and the objective was that the Volunteers and Citizen Army would seize strategic buildings throughout Dublin in order to cordon off the city and resist the coming attacks by units of the British army. The Volunteers’ plan had two elements: first, to prevent British access to the city centre from the major British military barracks or from Kingstown; second, to keep open a line of communication between Dublin and the countryside (especially towards the north) in order to have a line of retreat if it became necessary to fall back into guerrilla warfare. While there was little hope of defeating the British Army, the planners of the Rising felt that international opinion would soon force the British to come to terms with the Volunteers and give independence to the country. Utmost secrecy was maintained in planning—only three copies of the plan were drafted and no original is known to exist. The Rising was planned to be nationwide in scope, and from its inception the Irish Volunteers appointed organisers outside Dublin. There were Volunteer units in Limerick, Galway, Cork, Tipperary, Kerry, Wexford and Belfast. But leaders outside Dublin were uniformly kept in the dark, and even those who intuited that a rising was planned and was imminent still had little idea of the timing. When the Rising came to pass, a series of mishaps led to its being confined to Dublin alone. Historians have debated whether the Rising was a ‘blood sacrifice’ led by men who felt that a rising, even though precipitate, was necessary. 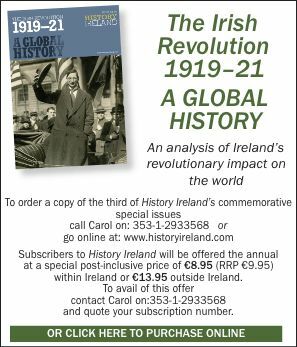 It was the British decision to declare war on Germany that allowed the Irish Republican Brotherhood to think seriously in terms of a rising by getting enough guns to challenge superior British firepower. This would have been irrelevant if the sole purpose of the Rising was simply a blood sacrifice. That was a purpose of the Rising for several of the leaders, especially Pearse, but it was not the sole purpose of any one of them. Few, however, of the ‘rank-and-file’ members of the Volunteers and the Citizen Army knew that the manoeuvres scheduled for Easter Sunday were to precipitate an actual revolt, and there was no feeling of a need for a ‘blood sacrifice’ among them. And there has never been consensus on the intent of the Volunteers in attacking Dublin Castle. Irish War News, issued by Pearse from the GPO, said that ‘the Castle was attacked’, but it never really was. Many have contended that it was never the intent of the Volunteers and Citizen Army to seize the Castle, as they did not believe that it would be easy to take, and it would be very difficult—if not impossible—to hold. Some felt that the Castle could be taken but not held and it couldn’t be destroyed, as there was a Red Cross hospital there. Others held that the attempt to take the Castle, while part of the planned Rising, simply failed. Finally, still others conclude that the reduced strength as a result of the countermanding order precluded its capture. The Rising, like all revolutionary endeavours, was a gamble. It was launched by dedicated men and women who believed that any effort was better than none, but their plans of operations had not been, and could not have been, fully worked out. All revolutionaries extemporise—it is only their determination to be revolutionaries that is fixed. Joseph E.A. Connell Jr’s Dublin Rising 1916 has just been published by Wordwell Books. F. O’Donoghue, ‘Plans for the 1916 Rising’, University Review 3 (March 1963). F. O’Donoghue, ‘Ceannt, Devoy, O’Rahilly, and the military plan’, in F.X. Martin (ed. ), Leaders and men of the Easter Rising (London, 1967). P.S. O’Hegarty, A history of Ireland under the Act of Union (London, 1952).